How Do We Answer Fools? Apologetics: Reactive, Proactive, or Both? 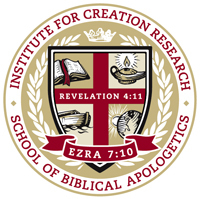 From the Chancellor: The School of Biblical Apologetics (SOBA) is an educational arm of the Institute for Creation Research and a part of ICR’s broader mission. In a world of confusion and compromise, ICR’s School of Biblical Apologetics will examine and promote God’s truth for Christian leaders who seek specialized training in the blended fields of biblical education and apologetics.